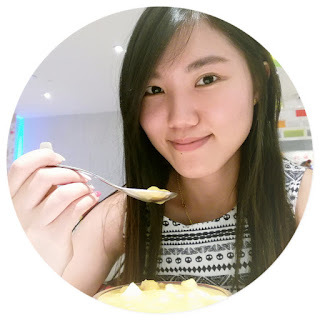 Who love gold color stuff? Yes, PUMA is introducing something gold for you now, the Women's Gold Pack Collection which consists of Running, Training and Sport style apparel and footwear. The Gold Pack collection is a testament for the brave, confident and unapologetic women who dominates everything from the gym to the street. The Women's Gold Pack Collection brings the fantastic fashionable design to women. I am always thinking of how to get dressed in fashionable style for sports. Maybe it is the best time for me to get myself dressed in trendy style while going for sports. Great news for my readers here, this collection is now available in all local PUMA stores and selected retailers. Check it out at puma.com for the stores' location. 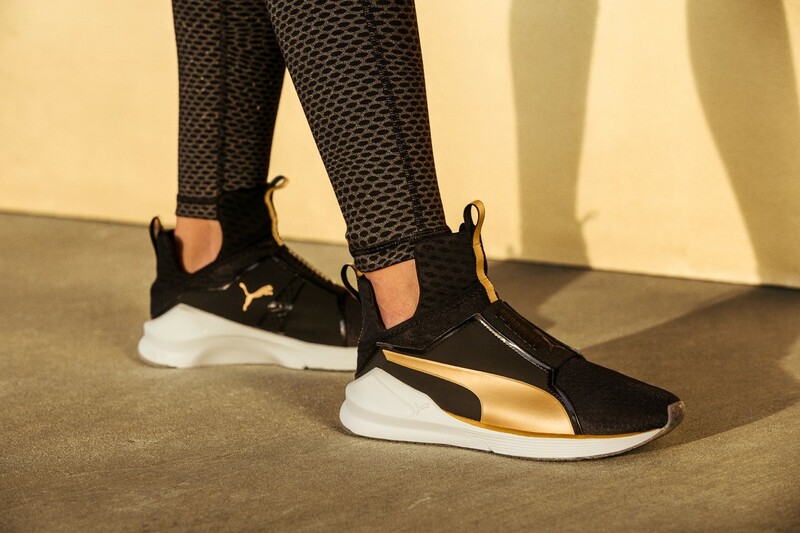 Sports Brand PUMA introduces the Women’s Gold Pack Collection that consist of Running, Training and Sportstyle apparel and footwear designed for the brave, confident and unapologetic women to wear from the gym to the street. The Women’s Gold Pack Collection pushes both sport performance and fashion boundaries, boasting a wide-ranging selection fit for today’s women. With a predominant colour palette of Gold, Black and White, the range exudes style and street sophistication. Headlining the winning pack is the PUMA’s next-level training shoe, The Fierce. First released in April and worn by young and stylish tastemaker Kylie Jenner, The Fierce’s bootie upper with mesh overlays has been updated with gold accents on the formstrip and tongue. 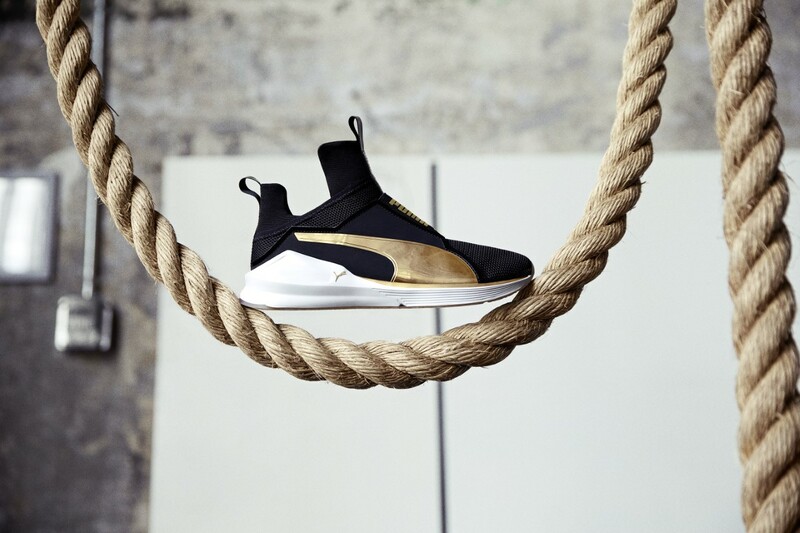 PUMA’s lightweight and dynamic trainer, the Pulse XT, has also been given a golden makeover. Now you can look bolder during high-intensity work outs both indoors and outdoors. On the running side, the IGNITE Dual Gold is sure to deliver high caliber performance with its flexibility and cushioning features for mid and long distance runners and also stuns in a new gold highlights. Rounding up the footwear silhouettes are sport-inspired styles - the PUMA Suede Platform Gold, a chic update on PUMA’s court classic with a stacked sole and gold-dipped toecap and the boxing-inspired Eskiva that features an elaborate gold mesh upper. 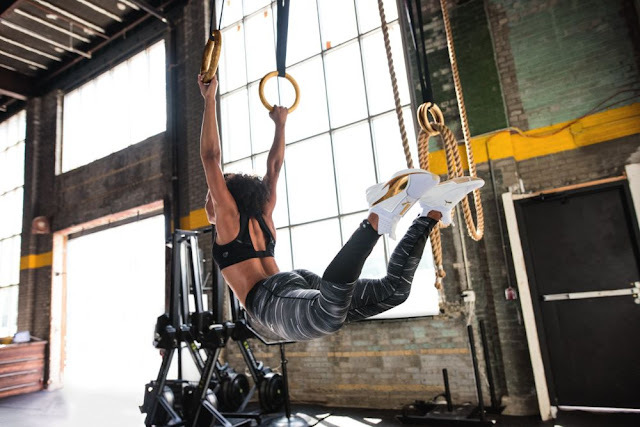 The gilt inspired collection carries over to training and lifestyle apparel with the PWRSHAPE Forever PUMA bra in white and black with gold foil PUMA branding, Essentials Tank, Archive Hoody and Tee that pair stylishly with the Evo Grid and Clash Tights. 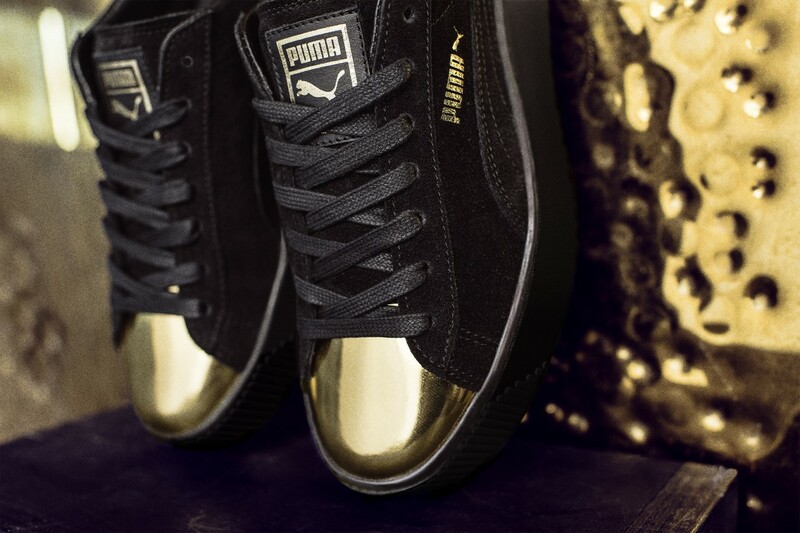 The Women’s Gold Pack Collection is now available in all local PUMA stores and selected retailers."